Miley Cyrus Covers LIL’ KIM PURPLE DRESS! Miley Cyrus dressing up for Halloween as Lil Kim! More specifically, Lil’ Kim circa 1999 and the infamous purple dress.. Um, er, pants suit..
Life has got to be pretty good if you’re the owner of a $300,000 Ferrari FF. 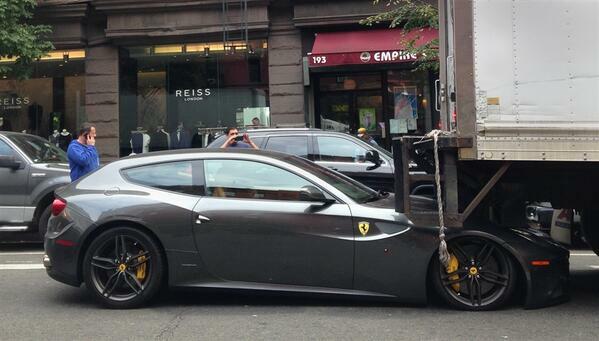 That is, until a New York City delivery truck driver accidentally backs into — and crushes — the hood of your beautiful ride. That’s what happened on Columbus Avenue on Wednesday, NBC reports. The truck driver said he “didn’t see nothing” as he backed up. The paid driver behind the wheel of the FF was not hurt. Justin Bieber might be good at just about everything, but he ain’t no Banksy..
How silly is this? 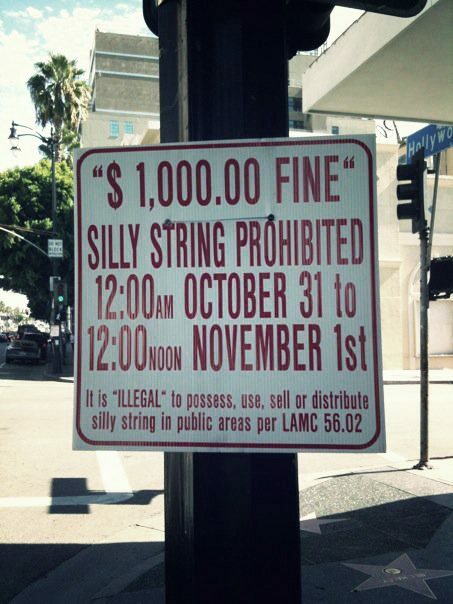 A $1,000 fine for Silly String possession in Los Angeles for the next 24 hours! No joke kiddies! You can not sell or possess the party favor until Halloween is over and done! I guess Liam likes girls. That Tech Support Guy You’re On Hold With Could Be Edward Snowden! 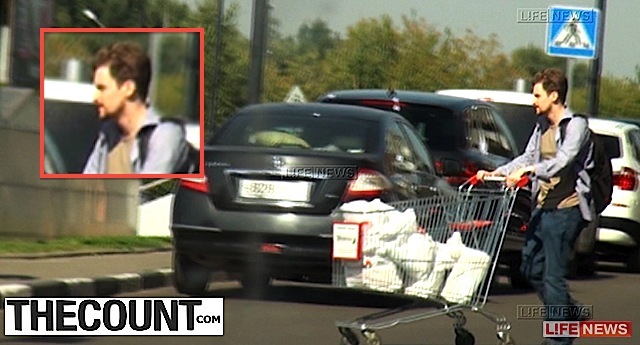 Weird to remember that Edward Snowden is supposed to be on the run.. But that did not stopping the leaker from landing a job with a Russian tech firm. A Russian news agency is saying that Snowden has secured employment with a “major” Russian website and will start work on Friday performing a typical “technical support” role. 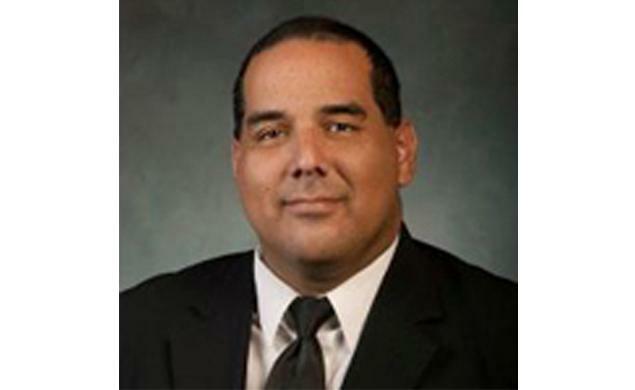 A former California funeral home worker has been officially charged with stealing gold teeth from his deceased customers..
Pete Jacob Lara, 39, worked as an embalmer at the Lancaster Funeral Home when he was busted performing the grizzly thefts occurring between June 25, 2012 and Oct. 28, 2013, Prosecutors allege. 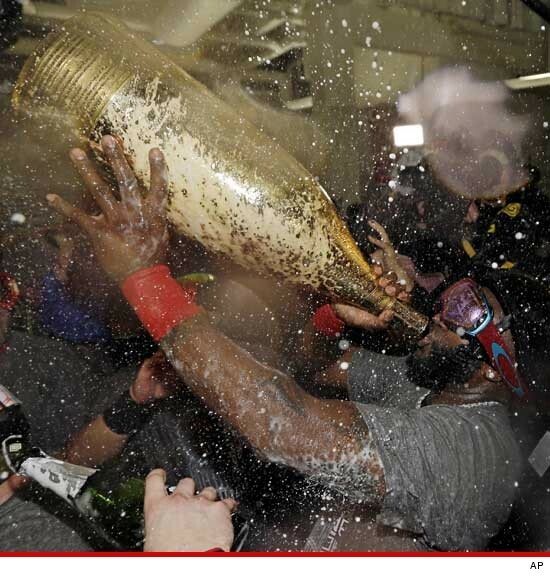 Forget childhood hunger and the fact the government is about to cut food stamp allowances and check out David Ortiz drinking from a $100,000 bottle of champagne.. The obscene act took place after Ortiz single (sorta) handedly won the 2013 World Series against The St Louis Cardinals last night in Boston when he partook in the hyper-expensive bubbly.. The following two pictures were taken at the same photo shoot – on the same day – of the same person.. But by comparing these two photos of Kelly Brook we found one thing is not like the other.. Can you spot the skinny on the huge difference?